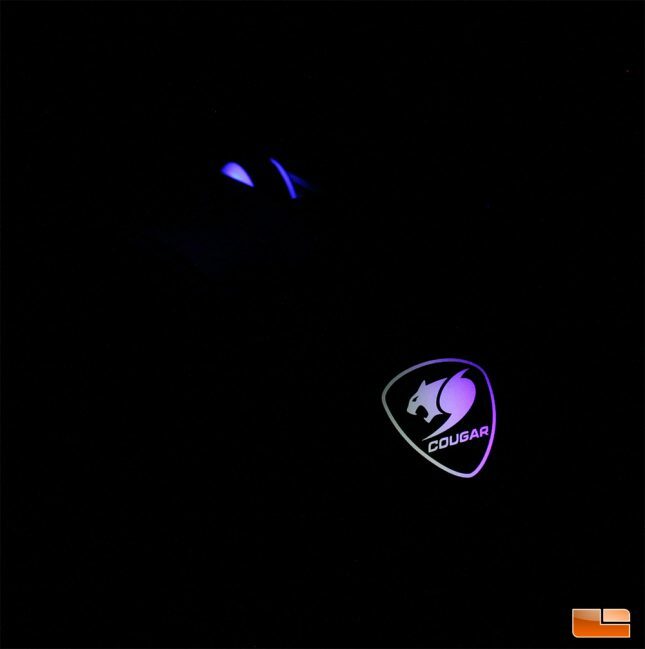 Cougar Minos X5 Optical Gaming Mouse Review - Page 3 of 3 - Legit ReviewsCougar Minos X5 Optical Gaming Mouse - How Does It Stack Up? Jump To: Page 1: Cougar Minos X5 Optical Gaming Mouse Page 2: Cougar Minos X5 Optical Gaming Mouse - A Closer Look & Subjective Testing Page 3: Cougar Minos X5 Optical Gaming Mouse - How Does It Stack Up? Cougar Minos X5 Optical Gaming Mouse – How Does It Stack Up? The lightweight, comfortable, small nature of the Cougar Minos X5 allows the mouse to be used with precision in FPS games as well as a pulling duty as an excellent daily driver. The Minos X5 has great build quality from top to bottom and Cougar went with an excellent cable choice, as the thin rubber cable allows for very little cable resistance and drag. The implementation of the Pixart PMW3360 sensor has been done as well as I’ve ever seen and the Minos X5 allows for incredibly precise pointer movement, on par with the best mice I’ve used. The 2000Hz polling rate of the Minos X5 is a great marketing point and while I wasn’t able to perceive difference between the Minos X5 and any of my other high end gaming mice in terms of input latency on a day to day basis or when gaming, the mouse was able to measure incredibly low click latency in the Human Benchmark and felt incredibly smooth and responsive at all times. The Cougar UIX software allowed for a deep amount of customization and the ability to program each button was definitely welcome. I really like the way the Cougar Minos X5 glides on my various mouse pad surfaces and the included feet, which Cougar graciously includes an extra set of, offer very low resistance. 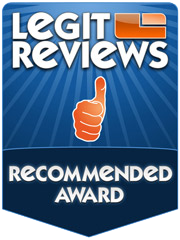 While the overall experience with the Cougar Minos X5 is enjoyable, Cougar could definitely improve a couple of areas. The side buttons of the Minos X5 offer just a bit too much resistance and may be hard to press in the heat of the moment for some users. The scroll wheel feels decent and has a sharp click, but is pretty average in terms of scroll feel, which is a bit on the muddy or unrefined side. The side rubber grips of the Minos X5 feel okay and grip well, but they start to cause heat to build up in the hand, which would lead to light sweat build up after some time. I am able to use the Minos X5 as a daily driver and as long as I stay mindful to wipe my hand during breaks when playing intense games, the grips causing a bit of sweat isn’t a major issue. The Cougar Minos X5 ($44.10 shipped at Amazon) is priced competitively with mice like the Logitech G403 ($44.99 shipped) and SteelSeries Rival 310 ($46.75 shipped), which both offer similar features, button counts and optical sensors. Of the three mice, the Cougar Minos X5 is the lightest (by a hair) and best suited for small to medium hands. With an easy to maneuver, symmetrical design paired with Pixart 3366 optical sensor and Omron 50M switches, the Cougar Minos X5 offers appeal to competitive gamers and PC enthusiasts who are looking for a high quality, lightweight mouse for under $50. The included extra mouse feat add value to the Cougar Minos X5, as well, since users won’t have to source a new pair down the road when the original feet have lost their sole. Cougar does a great job of competing with industry giants like Logitech and SteelSeries with their Minos X5, which is very impressive. I was able to use the Cougar Minos X5 as my daily driver for the past couple of weeks, coming over from the Logitech G903, so I can definitely attest to its abilities and was kind of shocked at just how good a mouse Cougar made with the Minos X5. It isn’t perfect and doesn’t break any new ground, but the Cougar Minos X5 is a great mouse that is going to stay in my collection. If you are a claw or fingertip gamer and like the shape of mice like the Razer DeathAdder and Logitech G403 but find them to be too large for your liking, the nimble Cougar Minos X5 may be the perfect mouse for you. 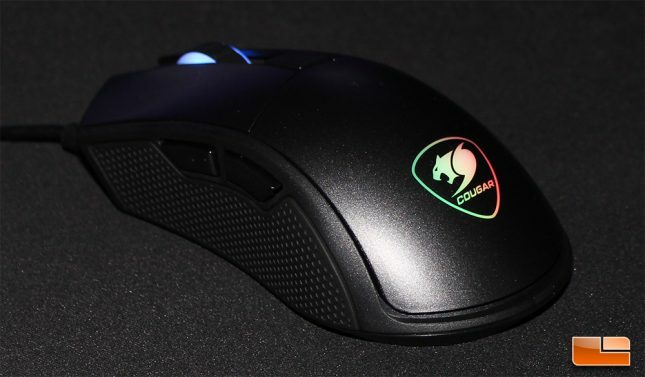 Legit Bottom Line: Offering a lightweight, comfortable shape paired with the excellent Pixart 3360 optical sensor, the Cougar Minos X5 is a great mouse that competes well against the top mice in the industry. Cougar just has to make a couple of small tweaks to the grips and side buttons in order to make the Minos X5 truly excellent.